First off: Krispy treats? Crispy treats? 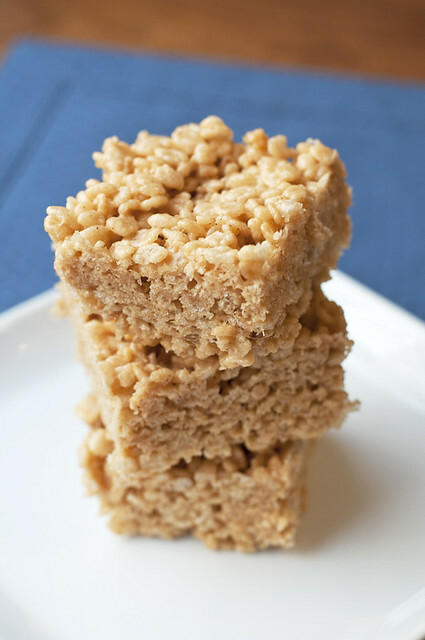 Krispie treats? 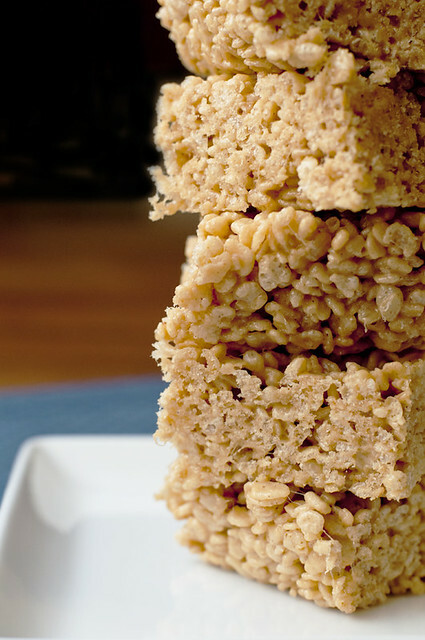 America, if we can come together for the powerball, surely we can agree on a dedicated spelling of krispy treats. But something we can agree on is that these things are damn good. I can’t even tell you the last time I had had one, but Joe put in a request for them over the holidays so we made these bad boys for New Year’s Eve. And they barely made it into 2016. These aren’t the krispy treats of your childhood, at least not mine. They were rich with butters of the peanut and brown variety that, with a little salt, raised them to *almost* gourmet standards. They weren’t cloyingly sweet or overly sticky, but soft and decadent and playful. 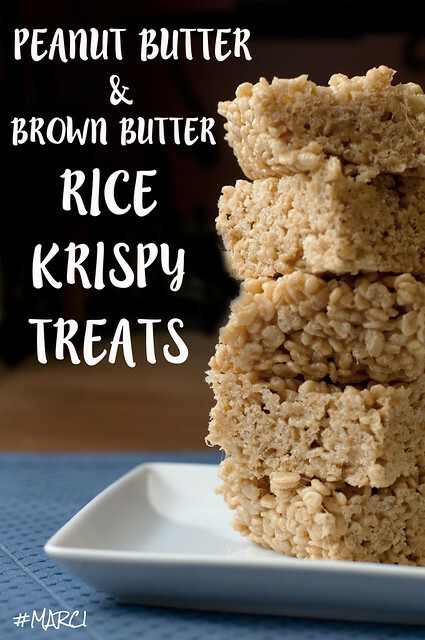 We were smitten and it was all I could do to not create a Krispy/Crispy/Krispie Treat board on pinterest. At least not one that’s public. You can make them in an 8 x 8 pan for really thick blocks, or we used a 9 x 13 pan, which still produced thick treats, but more of them. I almost majored in math, guys. My only tip is to have everything in place before you start, because once that butter starts to brown it’s a race to the finish line. One worth crossing again and again. Butter an 8-inch square or 9 x 13 pan. Set aside. Just as the butter beings to brown, add the marshmallows, peanut butter and salt. Stir with a wooden spoon or spatula until mixture is silky smooth and speckled with brown butter bits. Remove pan from heat and add cereal. Quickly stir, ensuring that all of the cereal is coated in the marshmallow mixture. Turn the mixture into the prepared pan. With buttered fingers, quickly press mixture into the sides and bottom of the pan. Let cool and set for at least 30 minutes before slicing into blocks. Wrap individually in plastic wrap to store. They will last up to four days.